Grant Holloway stole the show, while Florida and Arkansas walked away with team titles. But what were some of the other takeaways from Birmingham? When the difference between first and second place in a nine-and-a-half minute race is .15 seconds, then it’s reasonable to look at all the possible reasons for that tiny margin. 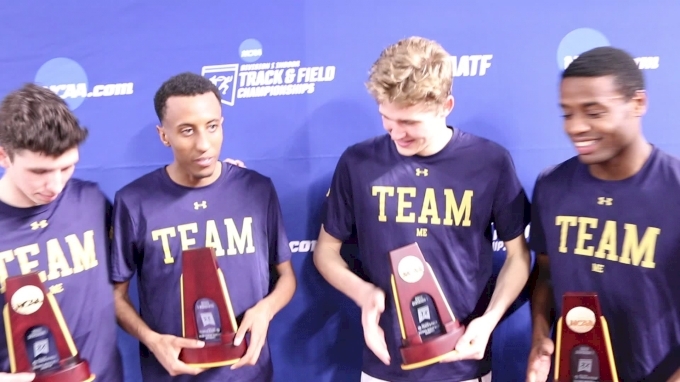 Notre Dame edged Stanford in the men’s distance medley relay, 9:31.55 to 9:31.70, buoyed by Yared Nuguse’s late burst that thrust him ahead of Grant Fisher. 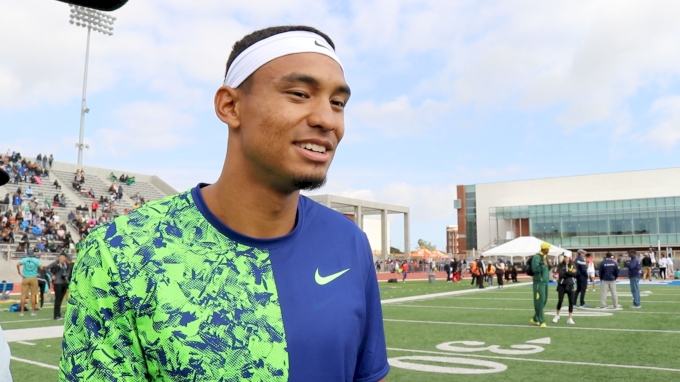 But it was actually Fisher who had the faster anchor leg, a 3:54.24 to Nuguse’s 3:56.03. Entering the final leg, both teams were chasing Iowa State who had about a seven-second lead on the main chase pack (which included Notre Dame) and another two seconds back to Stanford. Both groups made up ground, erasing Iowa State’s lead. With 250 meters remaining, Fisher passed Nuguse, setting up the dramatic final lap. The benefit of hindsight opens up all possibilities. If Fisher had received the baton one second behind Notre Dame instead of two, would he have been able to hold off Nuguse? Did the effort he took to make up the gap take enough out of his legs for the finishing kick? That scenario would have invited in all sorts of new variables with tactics, positioning, etc. that’s it hard to say for certain. Nuguse is a smart, experienced runner who could have adjusted on the fly. But it’s not a crazy proposition that a faster split from the first three runners could have helped Stanford squeeze out that .15 seconds. It’s become en vogue to call the distance medley relay a mile race. In some cases that’s certainly the case. At the very least, the race is weighted heavily toward the final leg. However, there are instances when the other three legs are critical, even if it is just a fraction of a second. Grant Holloway, Morgan McDonald and Jessica Hull made it look easy but doing multiple events in a two day meets is a grueling venture. Oliver Hoare looked like the walking dead after running the 3000m final (his fourth race of the competition). He entered the race in order to help Wisconsin’s teams chances, but said he knew he didn’t have it after two laps. Weini Kelati handled the 5000m/3000m double well, taking second and third. But Wisconsin’s Alicia Monson showed how difficult it is to complete those races in less than 24 hours. She looked invincible on Friday night, kicking away from Kelati in the final lap to win her first NCAA title. The 3000m the next day promised to be more difficult with the presence of Hull, but it was surprising that Monson wasn’t able to stick with pace and eventually slid back to 10th place. In the sprints, Kayla White of NC A&T won the 200m and finished second in the 60m hurdles. 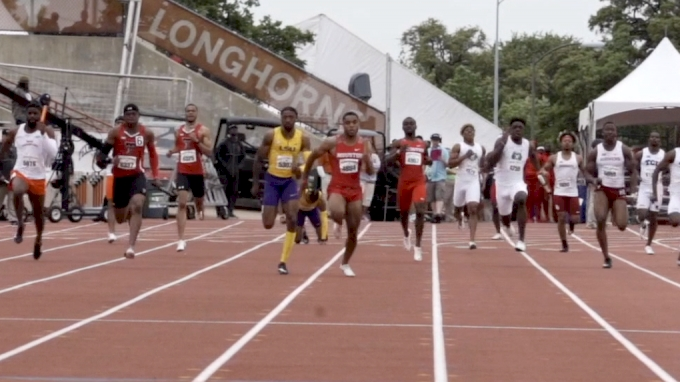 Obi Igbokwe of Houston had an incredibly busy weekend with the 200m, 400m and 4x400m on his plate. He finished fifth in the 400m, eighth in the 200m and somehow still had enough left to contribute a leg to Houston’s winning 4x400m team. After the race, his teammate, Kahmari Montgomery, showed just how hard these championships can be. In individual events 400 meters and up, not a single top seed won their event. In fact, in the entirety of the women’s competition on the track, USC’s Chanel Brissett in the 60m hurdles was the only winner who entered the meet with the best mark. This speaks to the unpredictability of the meet, and the indoor season as a whole. 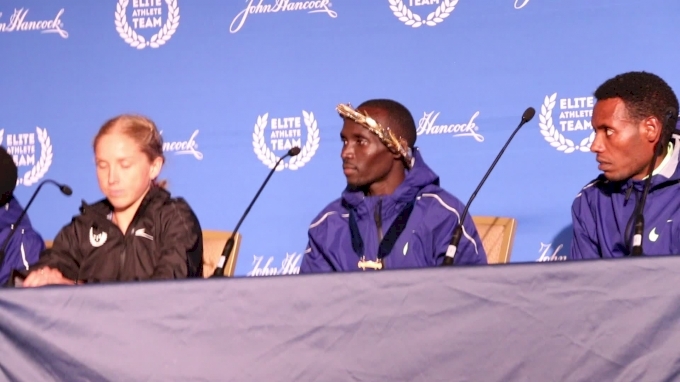 But the more bland takeaway is that many top athletes, particularly distance runners, are simply racing to qualify for the meet and thus, their seed time isn’t all that indicative of their potential. 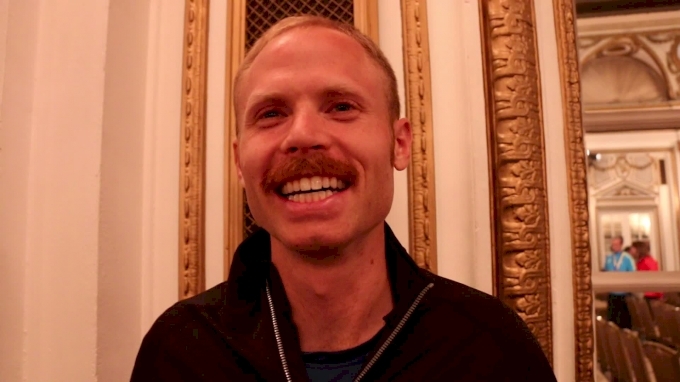 Morgan McDonald wasn’t the top performer in either the 5000m or 3000m during the season, but there was a very good chance he would win at least one race in Birmingham. Same with Jessica Hull of Oregon. The middle distance races were destined to be a jumbled mess, especially after the scratches in the women’s mile. The men’s mile became equally open when Oliver Hoare of Wisconsin embarked on his triple. The two legitimate upsets where the seeding looked to hold arrived in the women’s 400m and men’s 800m, though in retrospect, there were reasons to question both. Lynna Irby’s qualifying time came at the last possible meet, and her status as the favorite (and sizeable favorite) had more to do with what she’d done in June than this winter. 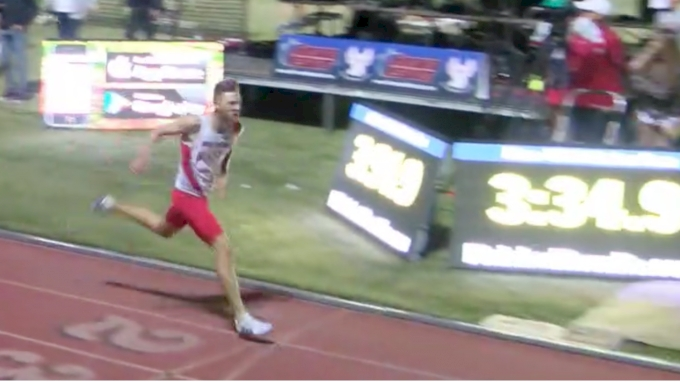 The 800m is always hard to forecast, and when you factor in Devin Dixon’s struggles in championship meets, it wasn’t surprising that Bryce Hoppel was able to take advantage. It was the opposite in the field events, and particularly for the men. Led by big favorite Payton Otterdahl and Mondo Duplantis, the top seeds won the shot put, weight throw, pole vault, high jump and long jump, while the No. 2 seed won in the triple jump (the top seed did not start the competition) and heptathlon. The women’s field event deviated a bit, but the athlete with the best mark did win the pole vault, triple jump, women’s weight throw and pentathlon. Entering the meet, there was a vacuum in the women’s sprints and hurdles. Coming off 2018 when the NCAA was filled with collegiate record holders like Sydney McLaughlin, Aleia Hobbs, and Gabby Thomas, it was expected that this year wouldn’t have that same level of depth. Instead, we got parity. There were plenty of new and young faces in the sprints and hurdles--a sign that this is a transition year, or at the very least, a transition season. Whether or not that continues outdoors will be one of the stories to follow throughout the spring.